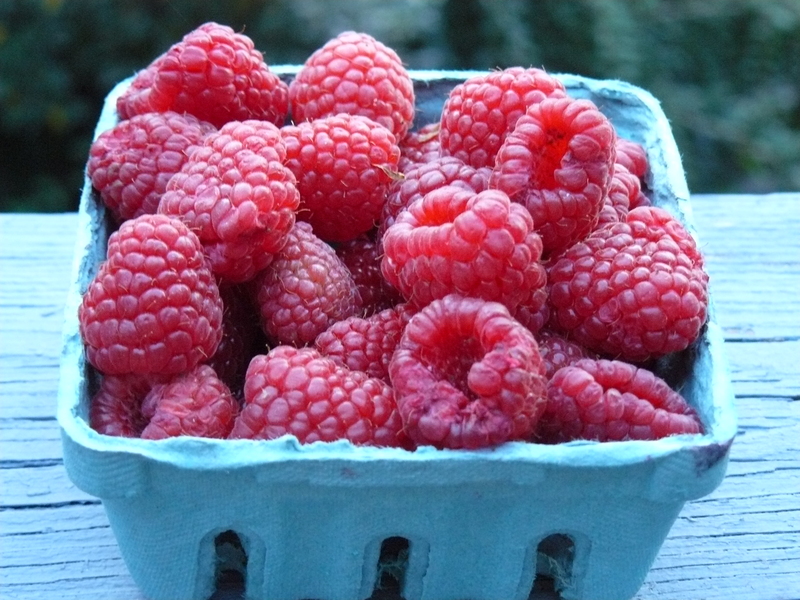 Most people don’t think of brownies when they pick up fresh raspberries–but I’m not most people. Though I did consider making something else, I couldn’t resist making my favorite Ghirardelli brownie recipe from their Sweet Ground Chocolate and Cocoa canister. Can’t find that label in the grocery store? 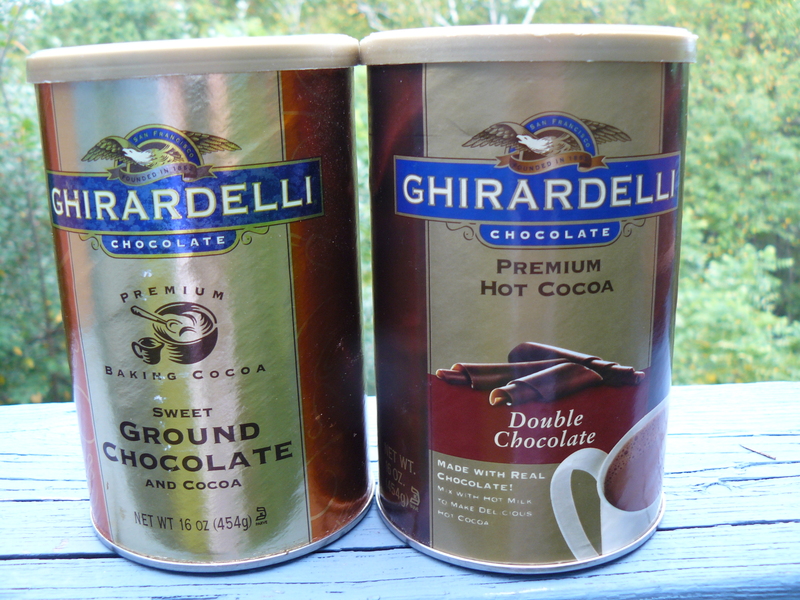 Ghirardelli’s Double Chocolate is the same thing, as I learned on Chowhound from my friend Caitlin. I’ve been adding fresh raspberries and white chocolate chips to this recipe for a long, long time. Today I added a little chopped dark chocolate, too. How can something so delicious be so easy? Try it and see! 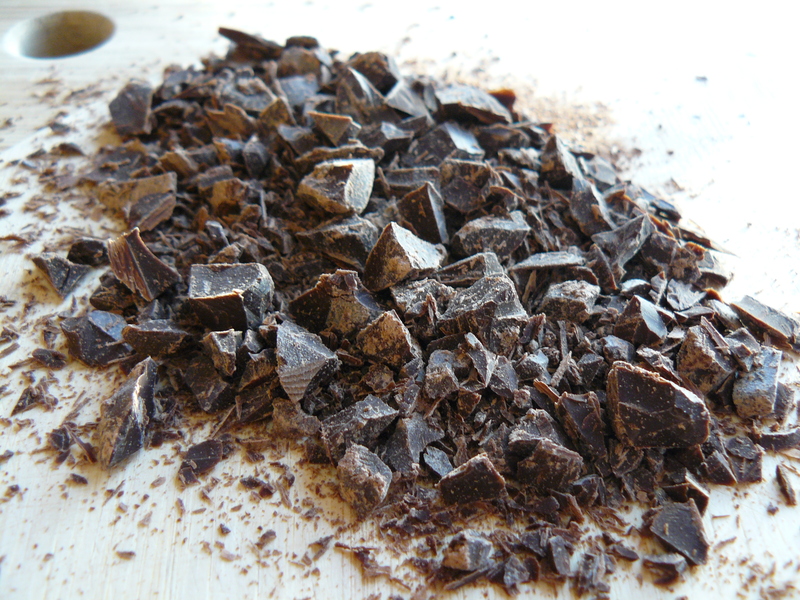 Save an empty Ghirardelli canister to shake the dry ingredients rather than sift them. 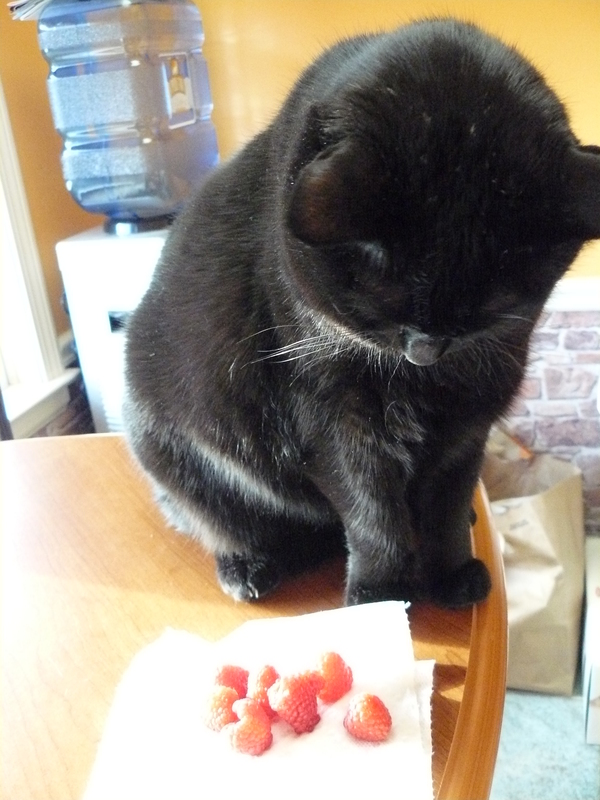 April Katt was not very interested in my snackpile of raspberries, by the way. 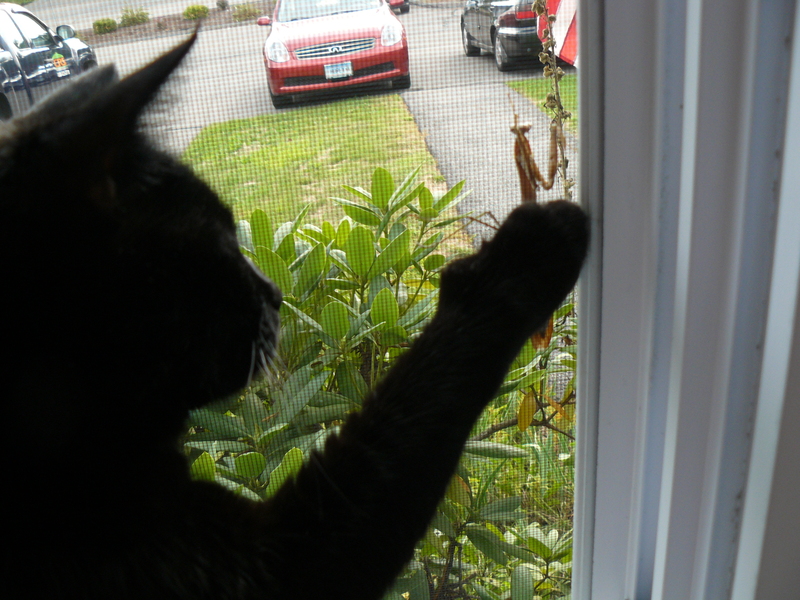 She was far more drawn to a praying mantis she saw in the window yesterday. I’m sure she thought it was some sort of moving plaything for her benefit. She gave it a high-five! I suspect you’ll give these brownies a high-five as well. 🙂 Enjoy! PS. I could inhale that entire basket of raspberries. 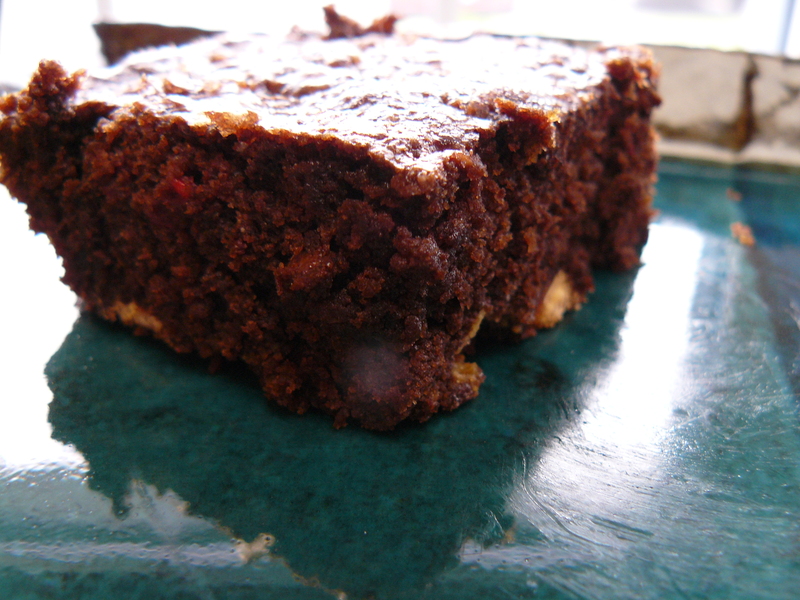 Brownies and raspberries should always be paired together. 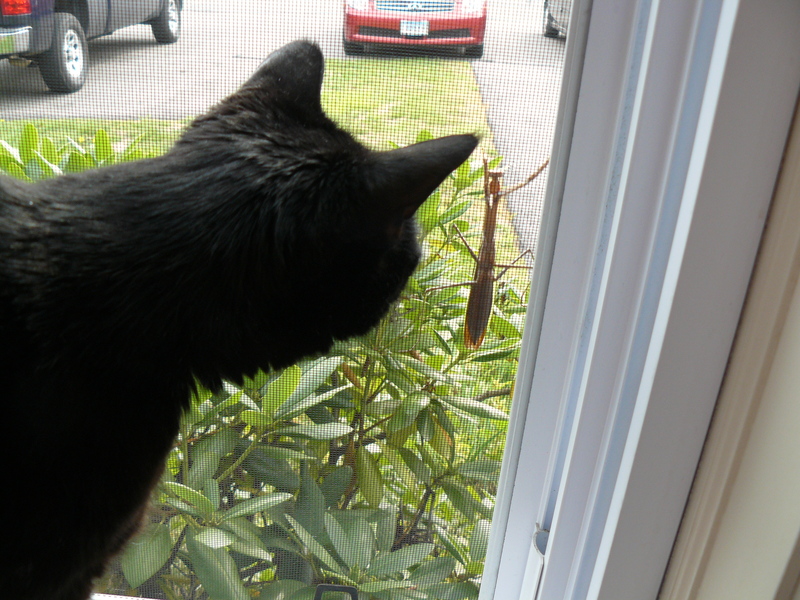 I loved seeing the pictures of your sweet kitty too…it makes me want a cat. Thank you so much for sharing!